Luvable Friends slip on is the cutest shoe to add to your baby's wardrobe. 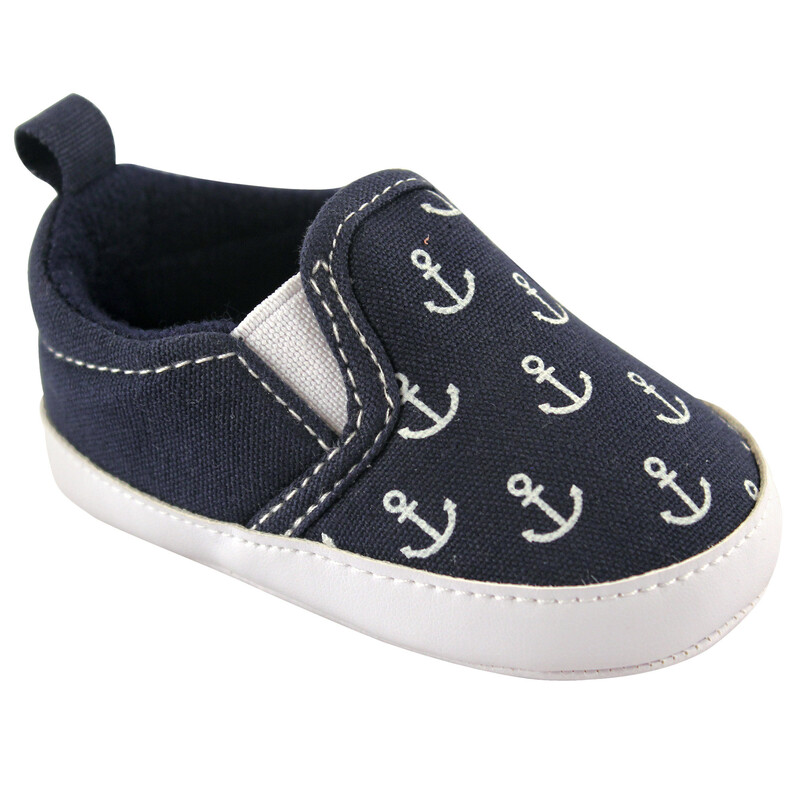 Made of synthetic materials, this shoe will stand up to your little one's adventures. This shoe is soft soled with rubber dot grips on the bottom. These shoes are not made for play outdoors but perfect for indoor activity and putting just the right touch on your baby's outfit for everyday wear. Sizes available up to 18 Months.